Edward Katz and his wife Ann Marie Katz are both very active publicly and privately in the Los Angeles Philanthropic Community. Edward Katz opened his salon studio over 20 + years ago, his office located in Los Angeles, Universal City area. Edward Katz Hair Design has become the premier non-surgical hair replacement for men who appreciate the quality and innovative designs with exceptional quality made and manufactured in Los Angeles…Other non-surgical hair replacements 99% are made in other countries, such as China and Indonesia…no care for product design, and no care for the man who deserves hands on professional, experienced, caring creative designs like Edward Katz at Edward Katz Hair Design. Edward and Ann Marie Katz prefer the private rather than the public display of giving and do so for their self-well being and for those who need. William Shatner Charity Horse Show for children. “Out of the closet” donations received, go to fight the AIDS epidemic, proceeds go to their funding. (Charitable donations to see in their store). UCLA/ Alopecia? Current research with caring people, Doctors such as the dermatologist…Dr. Richard Strick. Member of the National Hair Journal and featured guest front page on the hair loss in America. The Huntington Library, Art Collections, Botanical Gardens. Member of National History Museum Los Angeles. Member of the Living Desert…Palm Springs. Member of the UCLA Alumni Association. Diabetes: Constant Crusader/ Advisor on the hazards, life threatening…and danger associated with diabetes, which has also become epidemic in our country, children…young and old…warns proper sugar restriction, diet promotes healthy mind, body and soul. Has helped employees with his own profit to buy their first home, by providing down payments, good jobs and the opportunity to own a home. Has provided with his own profit legal attorneys to help employees and their families to become U.S. Citizens, providing them legal counseling to unite their families who are left destitute, heartbroken and in danger of life and future growth. Gives/ donates money to countless employees and families regarding medical expenses, and other personal problems (40 employees). Makes free hair pieces for our clients (out of his pocket), for customers who had lost their job. Who will never ask, but cannot afford it, and need the hair to move on. 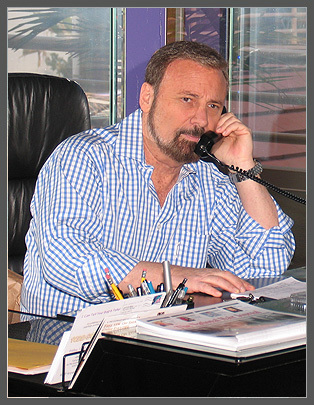 Offers constant advice physically, socially, emotionally and spiritually to customers and their families, struggling with the high cost of Los Angeles, pressure in business and raising children. He has offered and spent countless hours of his free time, with customers and their children…via…counsel/ friendship/ advisor…experienced in the education process, college, problem related to their life. Sometimes he is the only person they can speak with and feel total confidence and security…(especially children of our clients, who too at their young age…are now…facing the thinning hair problems as their fathers’ did before them, but are having difficulties coping with this new and tragic problem, which is affecting them socially, physically, scholastically…and to whom they have no one to talk to, ask questions and advice. Copyright © 2019 Edward Katz Hair Design · Website by GoMarketing · All Rights Reserved.